PHOTO: Uber has removed several controversial postings from its blog. 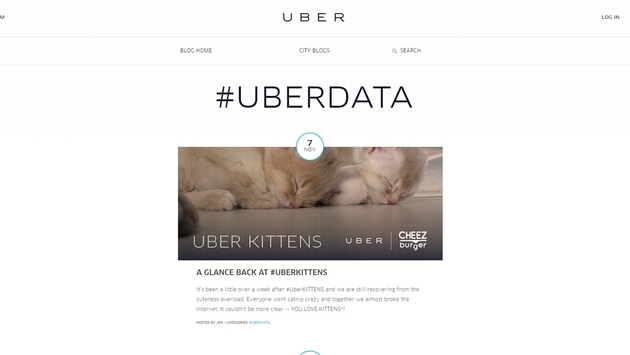 Obviously, #uberkittens was not one of them. 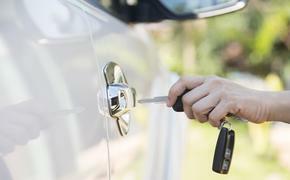 The popular ridesharing service Uber has come under fire as of late for a variety of issues, including its controversial privacy policies, which were brought to the forefront in a letter from U.S. Senator Al Franken last week. CNN Money's Jose Pagliery reports that Uber recently removed a series of questionable blog posts that showcased some of those discomforting practices. Among the deleted posts was an entry on a 2011 study linking residents of San Francisco neighborhoods with higher rates of prostitution, theft, burglary and alcohol-related crimes to Uber rides. In another post that has since been removed from the #UberData blog, the company highlighted a way to track "rides of glory," better known as one-night stands. "It isn't necessarily creepy, until you realize that Uber knows exactly who its riders are and keeps detailed accounts of every ride," writes Pagliery. The deleted blog posts signal the latest effort by the San Francisco-based company to save face amid a slew of controversies. Earlier this month, Uber executive Emil Michael made headlines when he suggested digging up dirt on journalists who were critical of the company at a dinner party. Uber CEO Travis Kalanick issued a lengthy apology for Michael's remarks on Twitter in response. However, the damage was already done. One of the targeted tech journalists, Sarah Lacy has since said that Uber needs to be held accountable. Even more recently, Franken submitted a letter to Kalanick, noting his uneasiness stemming from Michael's comments as well as the company's various privacy policies. In the letter, Franken presents a series of questions for Kalanick and Uber and requests that responses be submitted by Dec. 15.